MAVOU is a young, fast growing dating portal. Members have the option of all common communication modes take contact with each other to know each other. Complete filling of the profile information. The sole Sign up without completing the profile information is not a successful lead. 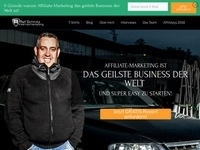 No incentivierter traffic, no cash back. Completely inactive applications will not be reimbursed.